Die Suche nach einem gebrauchten MBLD4-18-150R ? This model is a 2 ton machine, 18” of ram stroke, traveling at 150 FPM, tooled up with a hydraulic tilt table. The 18 model can also be mounted on wheels, for easy mobility in your shop. 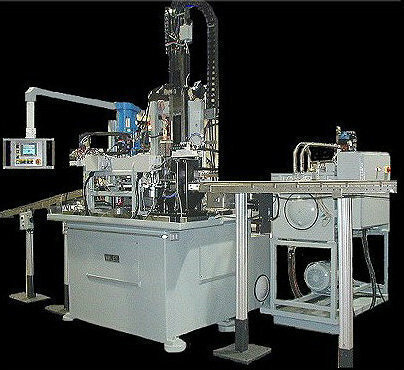 Ty Miles Inc. Broaching Systems is a well established company based near Chicago, with over 45 years of experience in the field of metal working. We are pioneers in high speed broaching, and broaching systems, with more than over a thousand systems working in the field. Our competent, experienced staff is ready to handle any of your broaching needs. Mit Blick auf einen neuen Kauf TY MILES MBLD4-18-150R ?